Freightliner offers a variety of features that are engineered with the Truck Equipment Manufacturer (TEM) in mind, including easy-to-upfit chassis, clear frame rails, and multiple exhaust options. Freightliner’s best-in-class SmartPlex Electrical System offers unmatched flexibility and expansion capabilities while easing installation for the TEM. The design of the Freightliner chassis and associated systems contributes to a more productive and, ultimately, more profitable TEM. 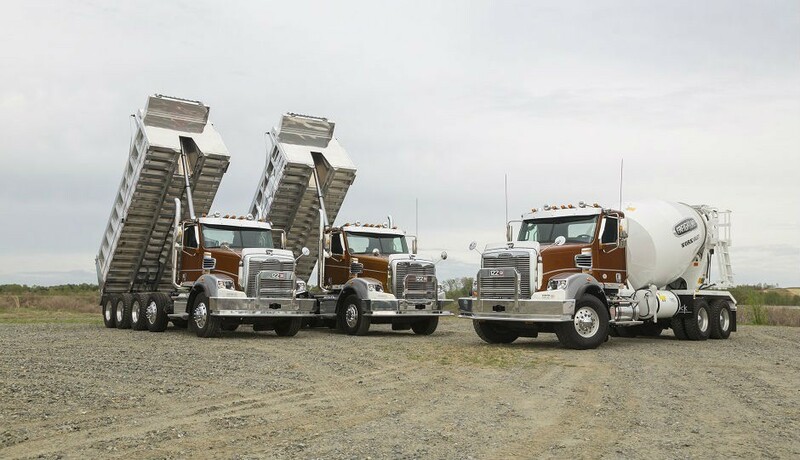 “We have cohesive programs and resources that provide the highest level of support and convenience to TEMs, and the Work Truck Show provides the ideal environment for us to connect and highlight those solutions,” said Mary Aufdemberg, director of product marketing for Freightliner Trucks. The flagship of the Freightliner severe duty line of vocational trucks, the 122SD is ideal for heavy, oversized loads, and can be configured for a variety of severe duty options, including oil/gas field services, concrete mixing, specialty/heavy-haul, crane, dump and towing/recovery. The new options for the 122SD are best suited for severe terrain and off-road applications. They include oil pan skid plates, 12-inch frame rails, threaded front suspension spring pins and bushing, and heavy-duty bolted cross-members. Front-bumper mud flaps and fog lights with rock guards are now also available as factory-installed options. In addition to the new options, the 122SD’s standard features contribute to uptime and dependability, such as a durable and reinforced aluminum cab, plus enhancements for severe duty environments. With a GVWR of up to 92,000 pounds and a GCWR of up to 160,000 pounds, the 122SD is available with manual and automated manual transmission options that are ideal for heavy-duty applications; as well as powerful engine options with ratings up to 600 hp and 2050 lbs/ft of torque.